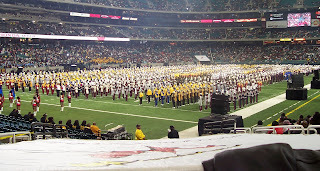 When Joe over at The Marching Podcast posted that The Undefeated was going to be doing HBCU band rankings, my kneejerk reaction was skepticism. I certainly don't doubt Joe's judgment, and this was even necessarily about The Undefeated. These sorts of lists tend to be suspect because with relatively few folks writing intensely about bands, it could very well be sports folks giving an uninformed or incomplete take on the subject. And specifically to The Undefeated, they are an entity of ESPN, and I've been notably critical of the Worldwide Leader's band coverage before. But then I read their methodology. 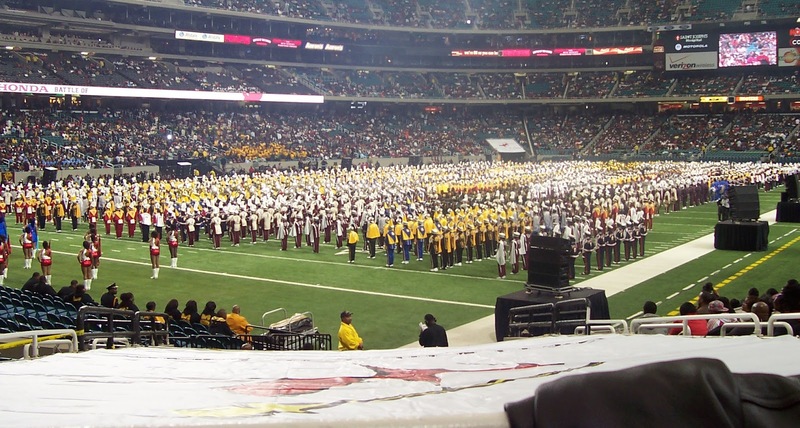 The Undefeated's HBCU cred is intact, but their process for this particular competition - to be awarded as "Band of the Year" during the Celebration Bowl - is thorough. Check it out. Both their panel and their methodology leave no stone unturned. They've shown. unequivocally, that the want to get this thing right, with a panel and process that rivals the College Football Playoff selection committee. Then - as if they knew I was out here questioning their bona fides - they doubled down on their band cred by dropping the oral history of Drumline - a fantastic piece that I dropped just about everything to read over a lunch break and came away with tears in my eyes from. OK, The Undefeated. You have my attention.